Orange County is a county located in the U.S. state of New York. It's county seat is Goshen. The county was created in 1683 and originated from One of 12 parts of the original area counties created in the New York colony. The name of the county comes from William of Orange-Nassau (1650-1702), who would become King William III of England. The links directory provides suggestions for a variety of websites to assist in your family history and genealogy research. Inscriptions on stones, monuments, and tombs in the burying ground at Little Britain, Orange County, N.Y. Towns and townships: A history of Deerpark in Orange County, N.Y. 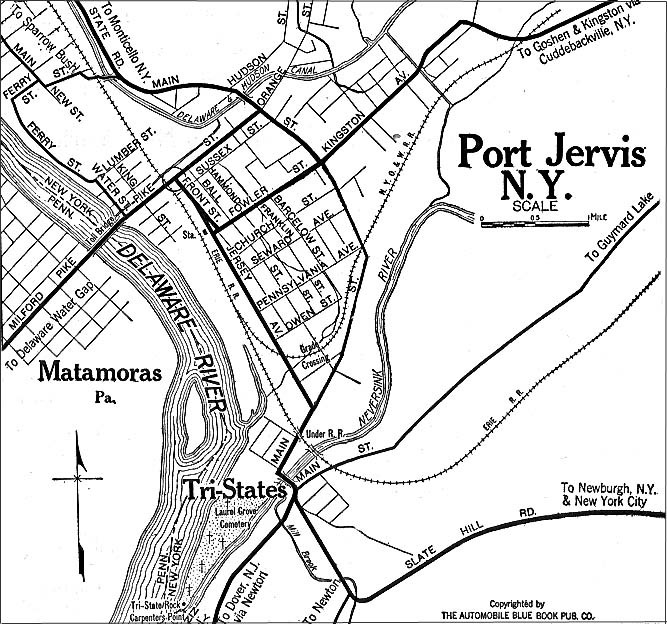 Towns and townships: History of the town of New Windsor, Orange County, N.Y.
Carnegie Library-Port Jervis, N. Y.
Harvard's Social Museum Collection-Under "By Geography", click on "New York", then click on "Newburgh"
The Thrall Library-Middletown, N. Y. Biography of W. Stanton Gleason, M.D. Biography of M. S. Hayne, M.D. Biography of Walter Ware Johonnott, D.O. Biography of Edward R. Elliott, M.D. Biography of J. C. Mills, M.D. Biography of Milton C. Conner, M.D. Biography of Edwin R. Boden, M.D. Biography of Jacob Brill Peters, M.D. Biography of Alexander E. Stepfield, M.D. Biography of Frank Aikens Jacobson, M.D. Biography of Frank D. Myers, M.D. Biography of James Gordon, M.D. Biography of Andrew Robinson Wright, M.D. Biography of Andrew V. Jova, M.D. Biography of Peter Moir Barclay, M.D. Biography of Frederick W. Seward, M.D. Biography of William L. Cuddleback, M.D. Biography of R. Harry Cathcart, Jr. Biography of Benjamin B. Odell, Jr. Biography of Ralph L. McGeoch, M.D. Biography of Rev. Warren Hathaway, D.D. Brian Pendleton and His Descendants, 1599-1910-With Some Account of the Pembleton Families of Orange County, N. Y., Otsego County, N. Y., and Luzerne County, Pa. Biography of John D. Carpenter, M.D. Biography of Charles Ira Redfield, M.D. Biography of John James Mitchell, M.D. Biography of Samuel Wickham Mills, D.D. Biography of John Silliman Macnie, M.D. Biography of Henry B. Swartwout, M.D. Biography of John T. Howell, M.D. Biography of Jonathan Dean, Sr. Biography of Joseph B. Hulett, M.D. Biography of Thomas Darlington, M.D. Biography of L. S. Hall, M.D. Biography of V. K. Montfort, M.D. Biography of Leartus Connor, A.B., M.D.